William “Bill” Bramlett Rogers was born December 17, 1935 in Pelzer, South Carolina. He is the son of the late Walter H. and Genav G. Rogers and is the second-born of four children. 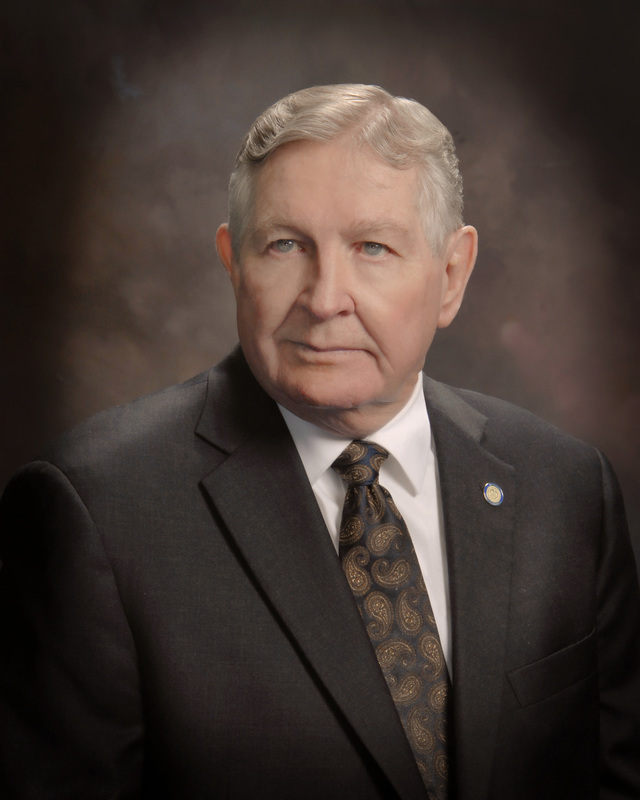 He attended the public schools of Greenville and Anderson Counties, graduating from Pelzer High School in 1953. He is married to the former Jeanne Carroll Baker of Heath Springs, South Carolina and they have one daughter, Rhonda R. Fetter, three grandchildren and five great-grandchildren. Jeanne and Bill are members of Brandon Baptist Church in Greenville, South Carolina and have been active in the ministry of the church for forty-seven years. Bill is a former deacon and trustee. Following graduation from high school, Bill was employed by Western Electric and A.T. & T. Co. with 31 years of service and was elevated to management. Later he was employed by Rockwell International Electronics Corp. as Project Engineer and promoted to Program Manager and resigned that position after two years to re-enter the retirement life. He served in the U.S. Army from August 1958 to August 1960. He received his basic training at Fort Jackson and was transferred to Fort Gordon in Augusta, Georgia where he was on the Fort Gordon Hi=Powered Rifle Team. He was later named to the 3rd U.S. Army Hi=Powered Rifle Team in Fort Benning, Georgia, which he declined. Bill was raised to the Sublime Degree of a Master Mason in May of 1970 in Brandon Lodge No. 279 and served as Worshipful Master in 1975 and 1976. He is also a member of Sam Poe Lodge No. 284, Pelzer Lodge No. 217 and Bates Lodge No. 189. He was selected Master Mason of the year for the 18th Masonic District in 2008. Bill is a life member of the York Rite Bodies, Cyrus Chapter No. 22 R.A.M., Alpha Council No. 10 R. & S. M. and Greenville Commandry No. 4 Knights Templar. He served as Illustrious Master of Alpha Council and High Priest of Cyrus Chapter. He is a member of York Rite Sovereign College No.10, The Red Cross of Constantine, Carolina Conclave, The Aiken Council of Royal and Select Masters, The South Carolina College of Masonic Societas Rosiccruciana in Civitatibus Foederatis, The Samuel H. J. Womack Council No. 20 of Knight Masons, U.S.A. and the Hejaz Shrine. He is a Life Member of the Ancient and Accepted Scottish Rite 33rd SGIGH. He is a member-in-perpetuity of National Sojourners Ft. Jackson Chapter No. 184, Charleston Chapter No. 184 and John Sevier Chapter No. 547 of Greenville. He is a member-in-perpetuity of Camp Croft Heroes of 76 in Greenville, Fort Moultrie Camp Heroes of 76 in Charleston and Mordecai Gist Camp Camp Heroes of 76 in Columbia. He also served as President of Ft. Jackson Chaapter No. 184 and Commander of Camp Croft Heroes of 76 in Greenville. He was a member of Brandon Chapter No. 92 Order of Eastern Star and now Sam Poe Chapter No. 123. He served as Worthy Patron of both Chapters for several years. He also served as District Deputy Grand Patron, Grand Representative of the Grand Chapter of Texas in South Carolina. He is a Charter Member of Tall Cedars of Lebanon, Palmetto Forest No. 206. 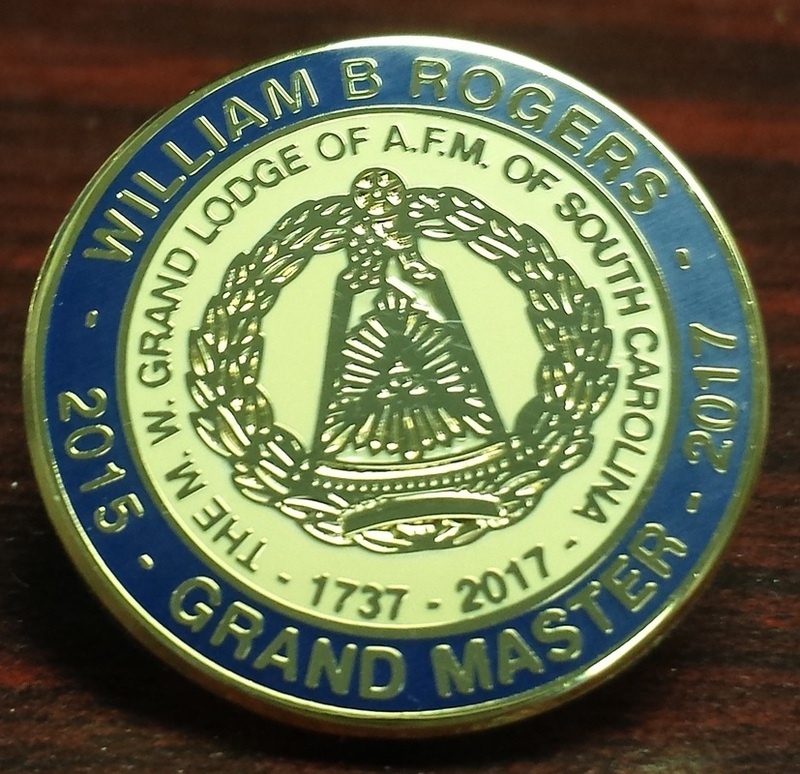 He is a member of the Masonic Research Society of South Carolina. He served the Most Worshipful Grand Lodge of A.F.M. 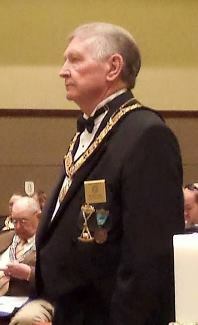 of South Carolina as a member of the Finance Committee, member and Chairman of The Commission on Investments, the Audit Committee, the Grand Representative to Valle De, Mexico, District Deputy Grand Master of the 18thMasonic District, Senior Grand Deacon, Junior Grand Warden, Senior Grand Warden and Deputy Grand Master. He was elected an Honorary Member of "The Freemasons of 09-11-01 Association" in a special session held at "Ground Zero" in New York City. This was the third and last Honorary Membership to ever be awarded by The Freemasons of 09-11-01 Association. He was honored with the "Frederick Dalco Certificate of Merit" and the "Albert Gallatin Mackey Medal." 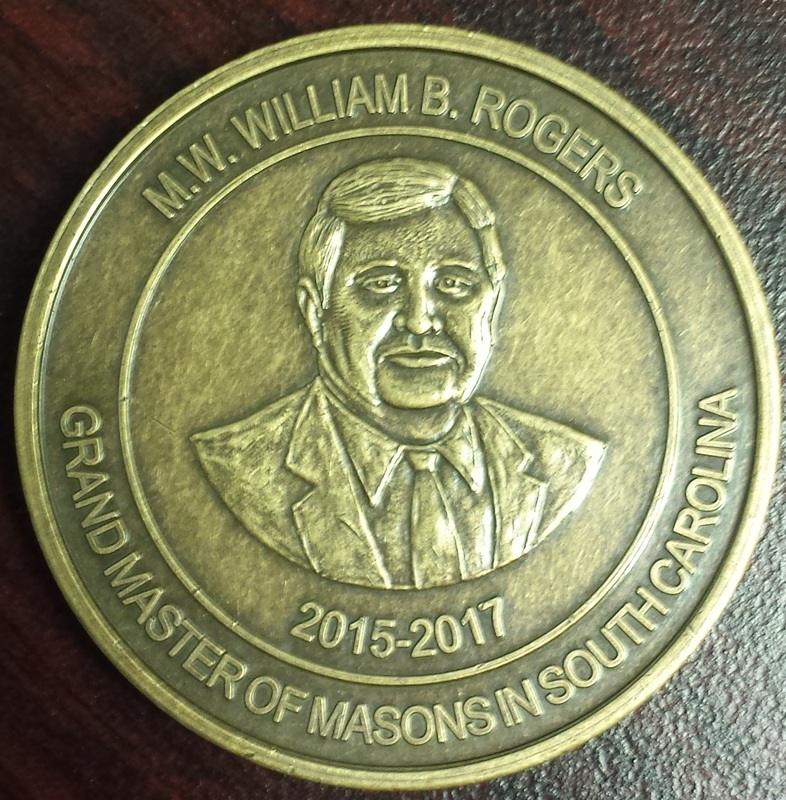 These awards are the highest honors that can be conferred on a Mason in South Carolina.